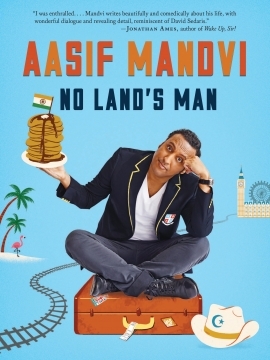 BookCourt is presenting Aasif Mandvi in conversation with Ayad Akhtar on Friday, January 23, 2015 at 7 P.M. Mandvi will read excerpts from his new book, No Land’s Man, which will be followed by an audience Q & A and a book signing. BookCourt is located at 163 Court Street, Brooklyn, NY 11201. For more information, call (718) 875-3677 or email bookcourtinfo@gmail.com. 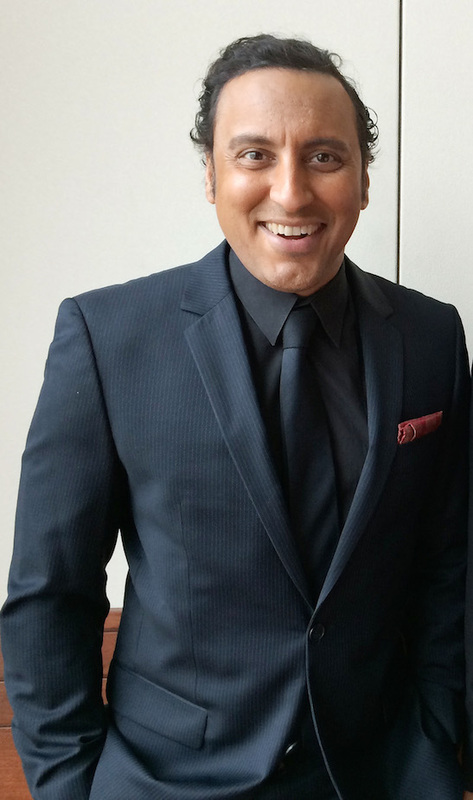 Aasif Mandvi is a correspondent on Comedy Central’s The Daily Show with Jon Stewart and one of the stars of HBO’s upcoming series, The Brink for which he also serves as writer/producer. He won an OBIE award for his one-man play Sakina’s Restaurant which he later adapted into the film Today’s Special. He has appeared in numerous theater, film and television productions including Ayad Akhtar’s Pulitzer Prize winning play Disgraced at Lincoln Center, the films Million Dollar Arm and The Internship, and most recently on the television show “Madame Secretary”. He lives in New York City. If you’re an Indo-Muslim-British-American actor who has spent more time in bars than mosques over the past few decades, turns out it’s a little tough to explain who you are or where you are from. In No Land’s Man Aasif Mandvi explores this and other conundrums through stories about his family, ambition, desire, and culture that range from dealing with his brunch-obsessed father, to being a high-school-age Michael Jackson impersonator, to joining a Bible study group in order to seduce a nice Christian girl, to improbably becoming America’s favorite Muslim/Indian/Arab/Brown/Doctor correspondent on The Daily Show with Jon Stewart. 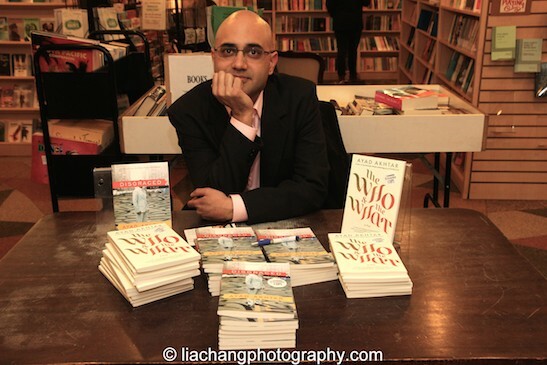 This entry was posted on January 23, 2015 by Lia Chang in Asian American Artists, Entertainment, Film, Literature, New York, Portrait Photography, Theater and tagged Aasif Mandvi, Ayad Akhtar, Backstage Pass with Lia Chang, BookCourt, Disgraced, Lia Chang, No Land's Man, The Brink, The Daily Show with Jon Stewart.